Can’t afford to lose the data stored on your Computer? Want to make a copy of data, but facing technical issues? We’ll help you with a professional data backup service in Lakeland, FL, bringing you peace of mind that your valuable data is safe. There are a number of reasons as to how you can lose the information stored on your computer. Unfortunately, you can accidentally misplace data because of sudden system shut down, virus attack, system crash, operating system failure, etc. You can also lose data while transferring it to some other folder or medium. Frightened about losing your precious data? Reliant technicians can give unprecedented data backup services and assistance to help you keep your data safe and secure. Reliant understands the importance of data backup on your computer. Our technicians at Reliant put in their sincere efforts and can provide proficient resolutions to any problems you may be experiencing while trying to backup your data. Reliants’ data backup services bring into use the most cutting-edge tools and most recent technology in order to help you create a backup of your documents. We strive to make the process of backing up your data as simple as possible. We spend the necessary time to show you how the process works so you can understand clearly how to backup your data on a day-to-day basis. 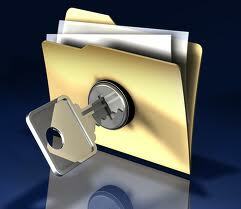 Our goal is to be the leader in data backup services in Lakeland, Florida. Stop in and see how we have been able to help over 4,000 clients in the Lakeland, Florida area with their data backup needs. You might also be interested in our data recovery service. If it’s already too late for data backup and you have experienced a hard drive failure, then we will try and restore all your valuable data with the latest tools available and a strong background of experience in this area. We are your one-stop shop for all your data recovery, backup and security needs in Lakeland, FL.